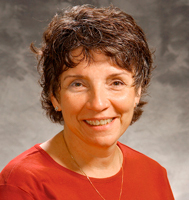 Katherine founded the UW Health Mindfulness Program in 1993. She retired as manager in July 2014. Her interest continues in offering mindfulness and compassion practices within healthcare and educational settings. She has trained within both Christian and Buddhist contemplative traditions for 25 years. Katherine holds certification in Mindfulness Based Stress Reduction from the Center for Mindfulness in Medicine, Health Care and Society, University of Massachusetts Medical Center.